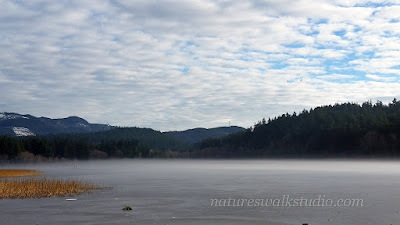 A few weeks ago we were “in the area” so went to Lake Padden for our walk. We discovered, to our delight, that the lake at the north end was frozen solid. It was so lovely with the mist rising from the ice. Cold and lovely. There is a certain beauty in the colors of winter, don’t you think?